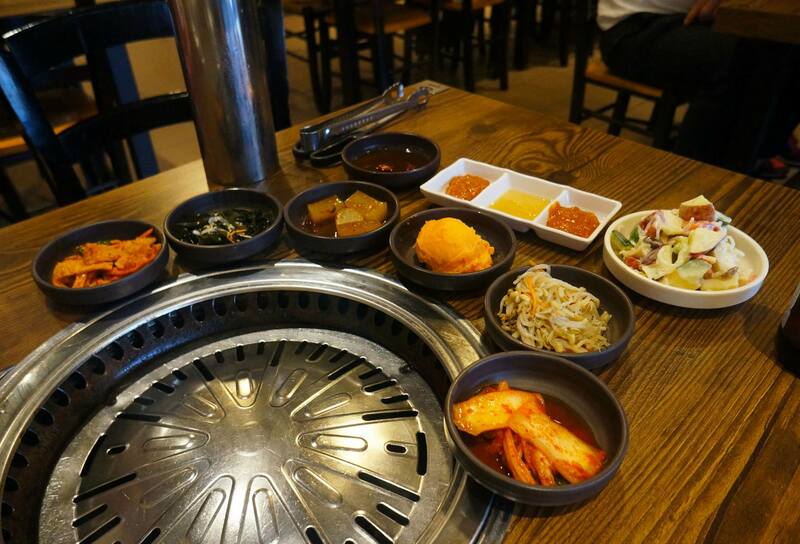 Even though it’s not quite Winter yet in Sydney which is our preferred Korean BBQ season, we still find that we end up eating KBBQ once in a while when we have cravings. 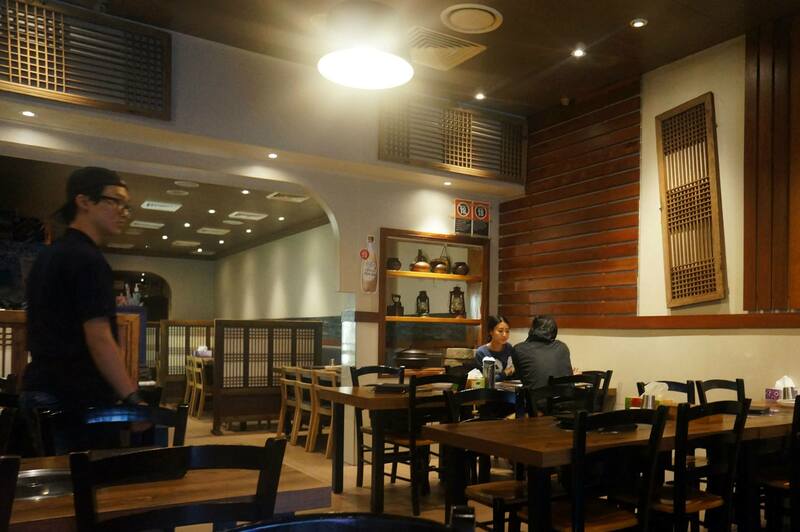 The recently renovated Won Jo was a pleasant surprise, Mr C and I were deciding where to eat in Strathfield and we were immediately seduced by the smell coming from the restaurant where a pile of families were already busy sizzling away. 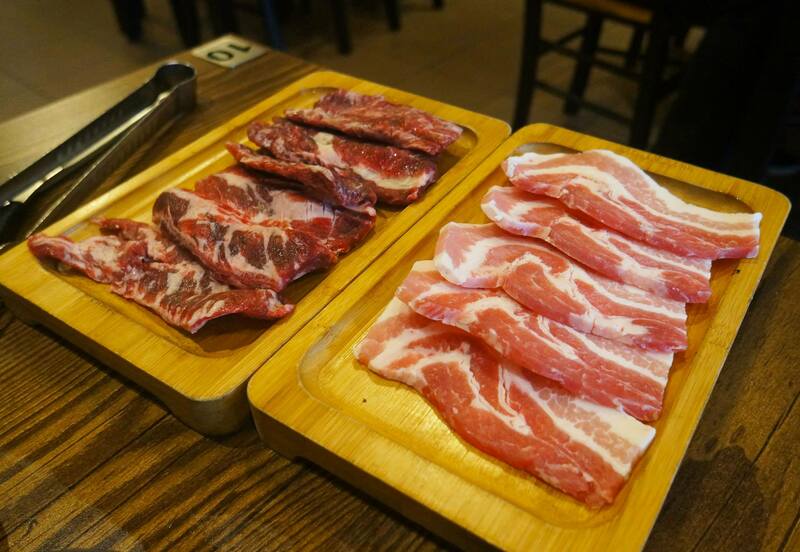 As our usual tradition dicates, we ordered the sliced Pork Belly (above) since it’s easily our favourite meat despite probably being the most unhealthy choice. We also decided to go with some wagyu rib meat since we hadn’t had that in a long time, normally opting for chilli chicken instead. 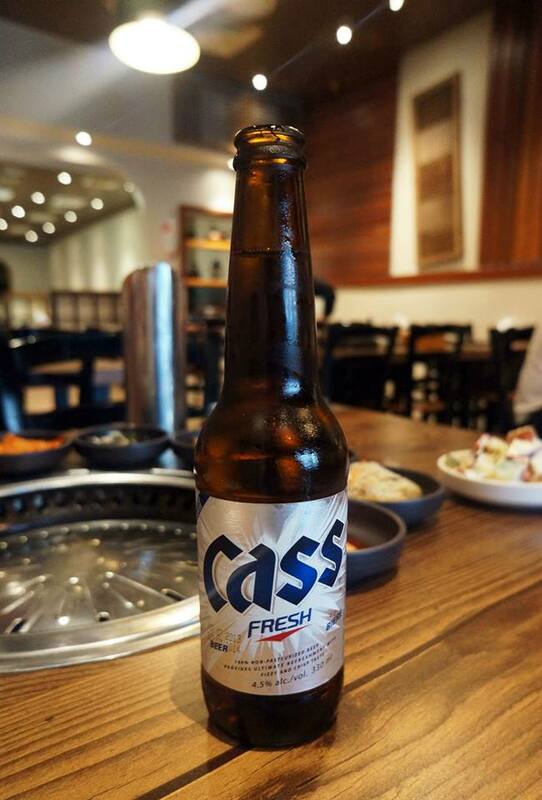 Every time we visit a Korean restaurant, I’m always excited to see what side dishes will come because that’s one of the best parts of the meal. You of course get the typical Kimchi and green bean jelly but there also new and interesting ones like the mashed sweet potato and seaweed. Servings were average but as usual the second round of refills come piled on in massive servings. The melted cheese and corn we were served was a surprise. A new side dish I never expected to have, and a really great serving size which could pass for a main. 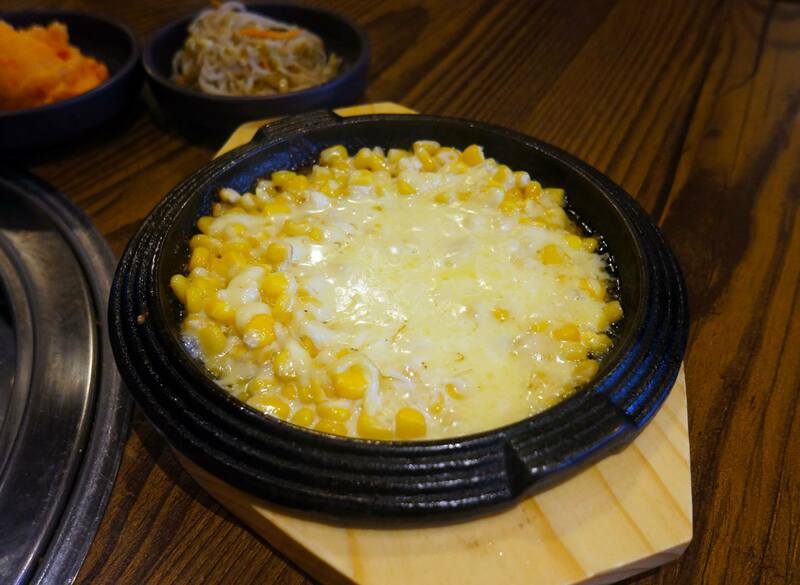 It was easily a standout as the corn was very sweet and juicy, and served hot and sizzling on the plate. I never enjoyed corn in the post as I don’t like the texture of it but the cheese and sweetness was amazing in this case. What can I say, the pork belly was amazingly juicy, I like to overcook the pork belly so it has a nice crispy texture which I believe is how it should be done to reduce fat. Although there was quite a lot of oil in comparison to other places we’d visited it’s quite difficult to tell when the meat is cooked to a crisp. The wagyu beef ribs on the other hand were amazing, very little fat or oil which was a surprise. 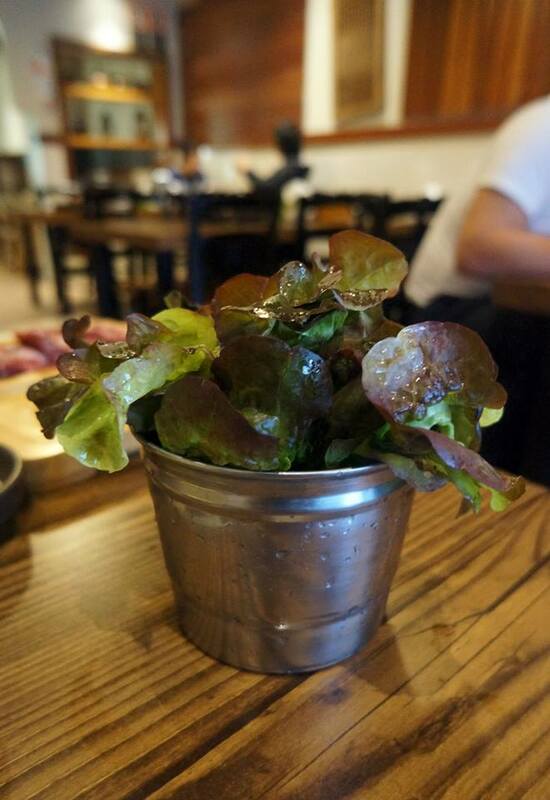 Just thought I might include a picture of the cute bucket that they serve the lettuce in 🙂 Mr C also decided to order beer because we’ve recently been in a phase and have been trying out the different types of beer in Sydney, we have a preference for German and Japanese beer but Cass was refreshing with the barbecue! 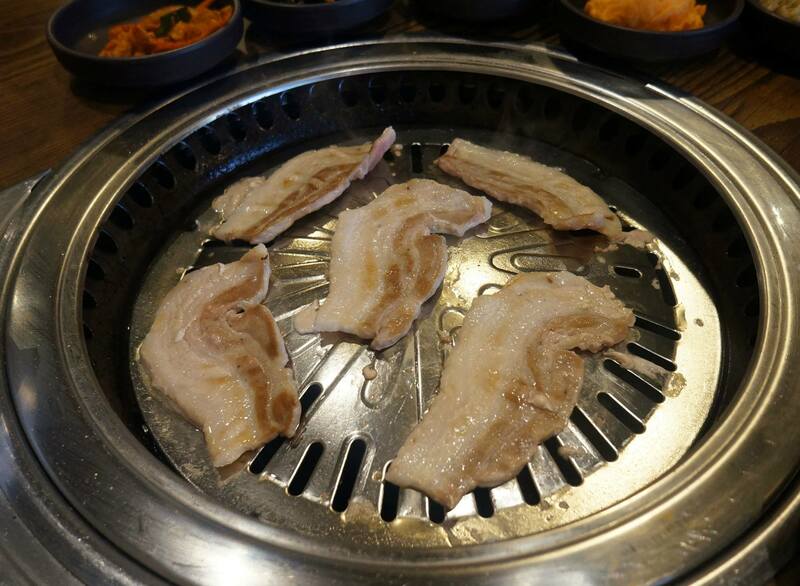 Despite normally visiting other Korean BBQ restaurants in Strathfield I think Won Jo will be our new favourite go-to restaurant. The side dishes are superior to most of the competing restaurants around and the pricing/serving sides are quite generous, it’s also a bonus to see that it’s relatively spacious and seating is almost always available even on a busy Friday or Saturday night. The cheese corn looks amazing!